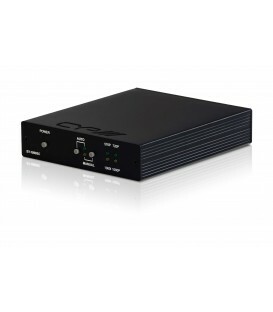 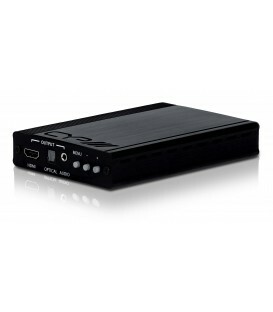 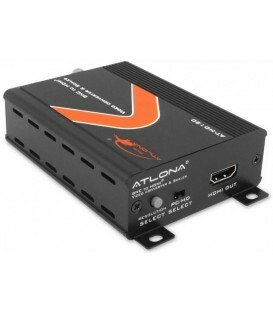 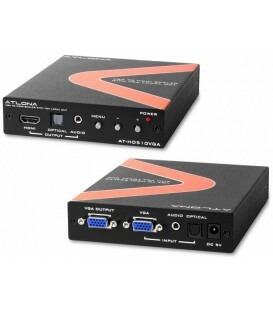 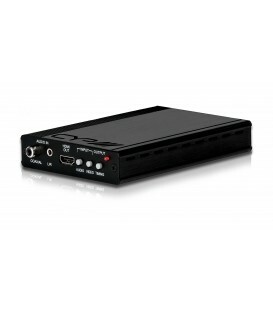 The Atlona AT-HD500 is designed to take video signal from PC or Laptop and upscale it to digital HDMI output of wide-range HDTV and PC resolutions, up to 1080p or WUXGA (1920x1200). 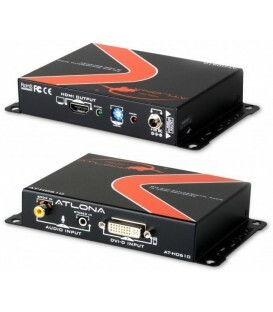 All adjustments are done on the actual scaler, which makes it very simple to use and requires no technical knowledge. 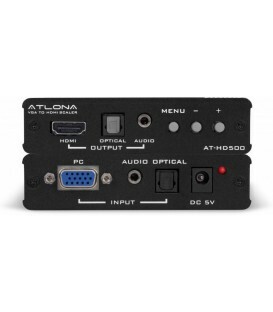 Besides video upscaling, the AT-HD500 can also converts digital/analog audio signal to digital/analog format, then output to HDMI combining with the video. The Atlona converter has a comprehensive OSD menu that allows user to select a variety of output resolutions and adjust for best picture quality. 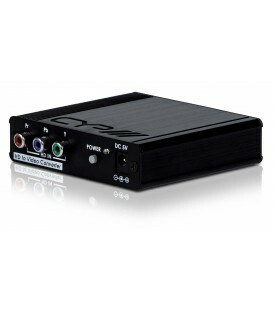 ;"
Supports analog stereo and digital audio (optical) then outputs the audio to HDMI, TOSLink and mini stereo jack simultaneously.